My experience with Captain U was fantastic. I set up an account for my daughter, a few years before her college search began. At first, I managed the account, until she was mature enough to get more involved. It gave the appearance she was making all the effort herself. 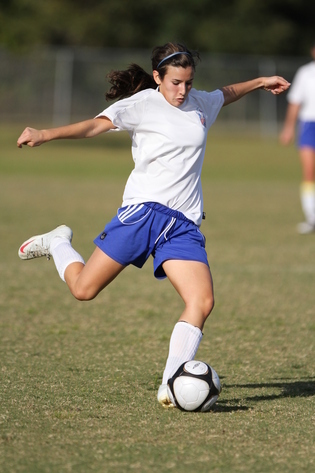 The focus was on simply chronicling her soccer career. The system enabled me to easily list her teams, her tournaments and various milestones. Initially, there was little response with college coaches, but as she got older she started inviting coaches from colleges on her radar, to tournaments. At one point, she asked past and current coaches for reviews, most complied and her profile had a list of positive reviews for others to see. We did not get coaches until later in the process. Inviting the coaches over the course of a few year period, was more an exercise to have her name be recognizable. When the coaches thought it was time to recruit, they contacted her via Captain U. It was very easy to send messages to coaches; it was nice to have the access. Despite the program’s well rounded features, and affordability, I assume that only a minority of players invested the time to sign up, giving my daughter a leg up on exposure. In the end, I felt her presence on Captain U put the few coaches serious recruiting her on notice that she was not sitting back, but actively seeking a good fit, with a good team, and of course, with the best scholarship package. I am pleased to report that she accepted a generous offer from a college, and is now a starter on a division II team. I truly feel that her financial package was maximized because her presence on Captain U made it clear she was serious about getting the most out of her student/athlete career.